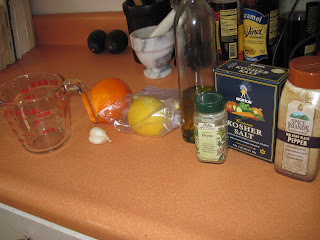 I had 1/2 lemon on hand leftover from the souvlaki and an orange...so I decided to marinate some chicken for the grill tonight. 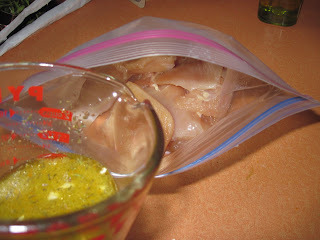 I never EVER buy marinades. 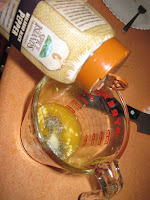 They are super easy to make and use all natural ingredients. You'll love this one. I always say that if you have fresh herbs available, they are best...but it's March here in Chicagoland and the herbs are not growing yet (well, aside from my chives) - so I used dried thyme in this. 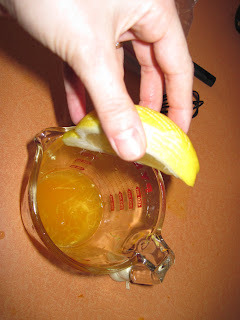 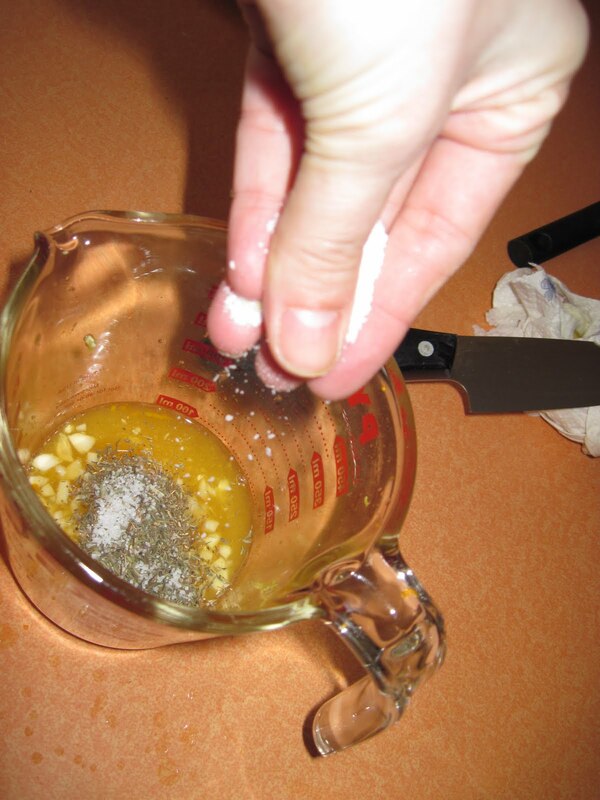 I like to use a measuring cup so it's easy to pour (I never really measure anything...I use my eyes to measure) - zest the orange first. You can use a fine box grater or a zester if you have one. 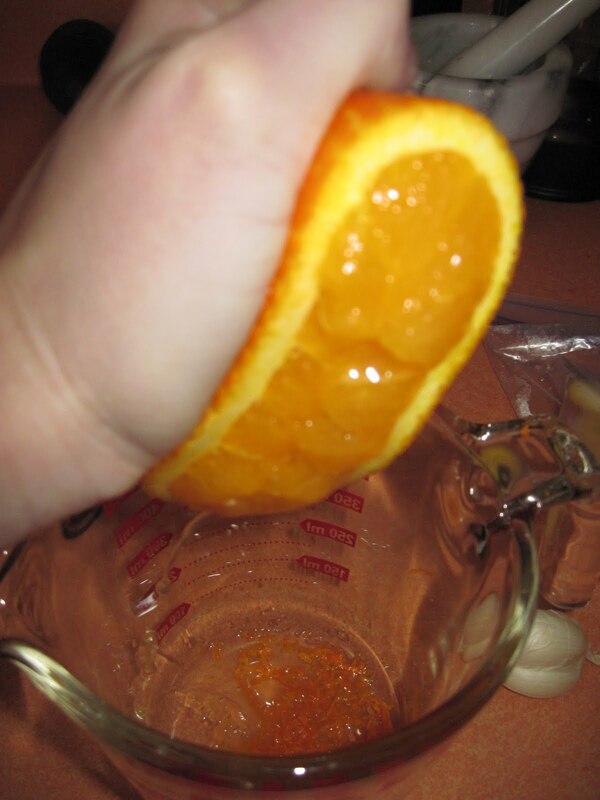 Just the colorful part of the skin, not the white part (which is bitter) - the zest is so fragrant, my son ran in the kitchen and said "mama, I smell oooooranges!" 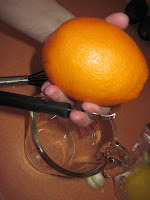 Then slice the orange in half and use a fork (or juice reamer) to get all the juice out of both halves. 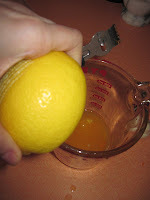 Now zest your lemon and squeeze the juice out of about 1/2-1/3 of it. 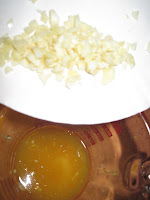 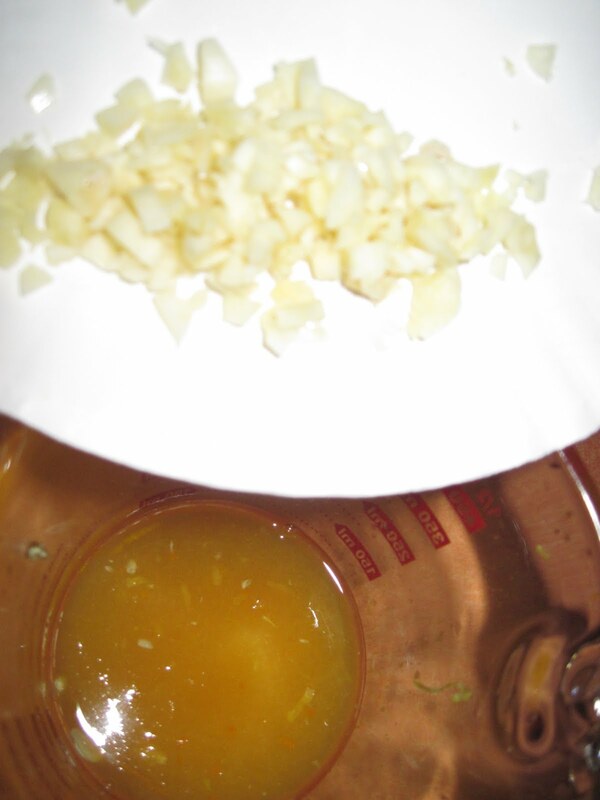 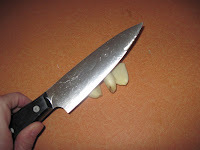 Now mince your garlic up and put that into the pool with the citrus. Add in the thyme, salt & pepper. 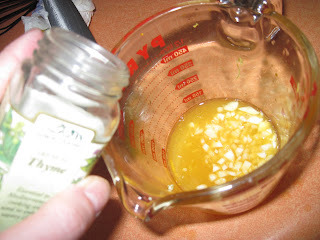 Now the squirt of dijon (about a tbsp or so) - this helps to emulsify and bring the marinade together along with adding a great kick of flavor. 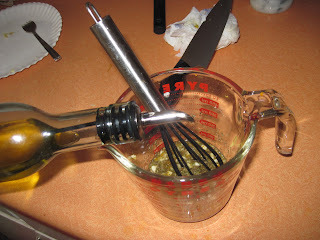 Whisk it together and then whisk in your olive oil. 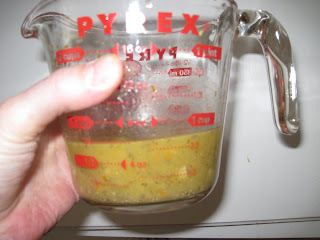 About 1/3-1/2 cup or so. Taste it. 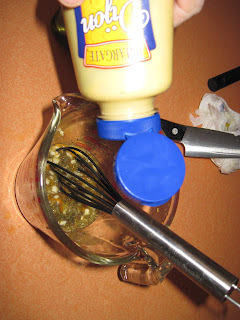 Does it taste good? 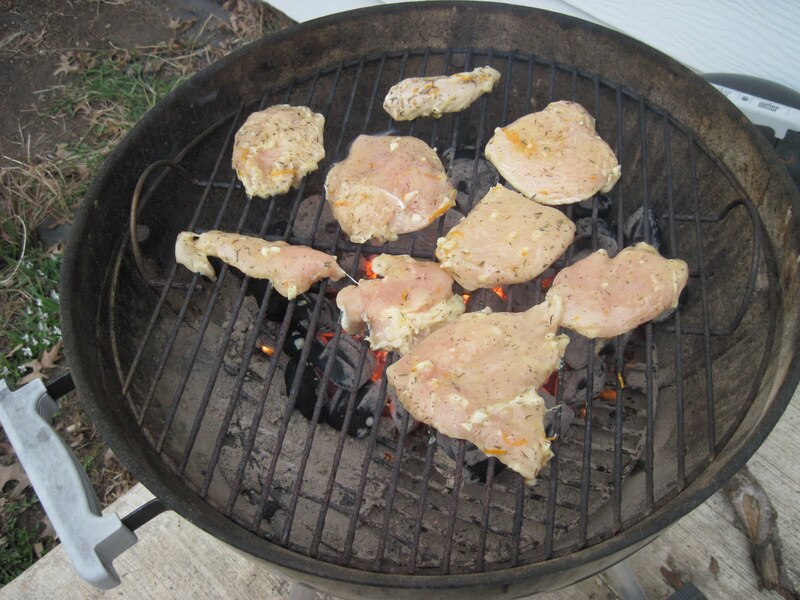 It should taste strong because you are flavoring a good amount of meat. 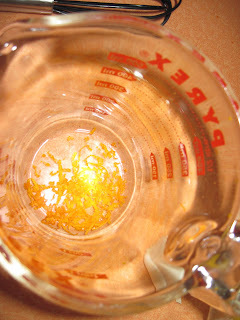 It's so fragrant and sweet with the floral flavor of the thyme....Yum! I had 2 ginormous chicken breasts that I cut in half and then again across it so they would grill more evenly and stay tender. 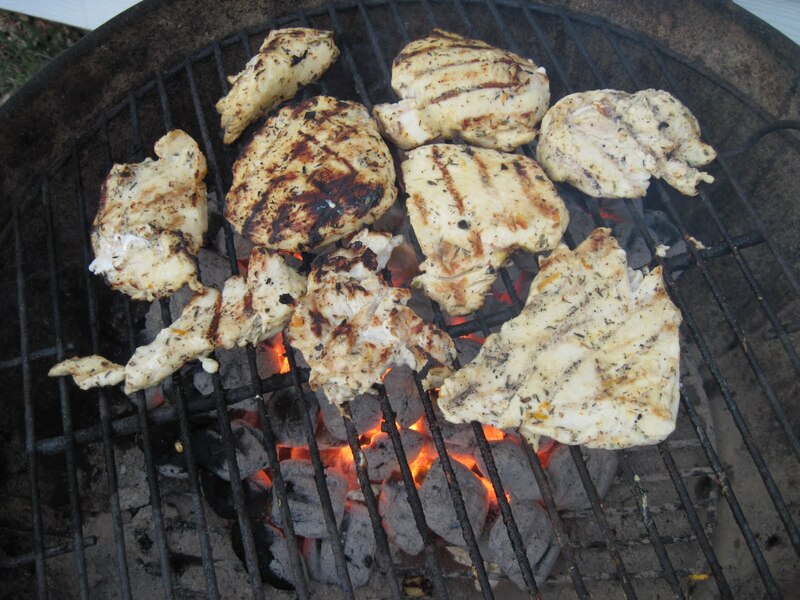 Huge thick chicken breasts are difficult to cook without getting tough or drying out. Put 'em in a ziplock and pour the marinade over. 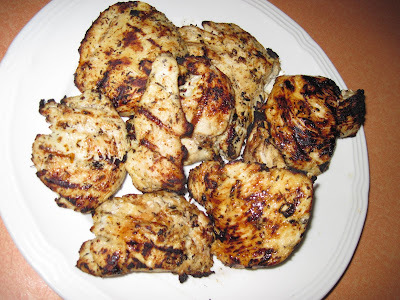 Chicken is ready for grilling tonight. Serve with some tasty green bean casserole (posted on my blog as well) and dinner is served! This is so flavorful and juicy. It's really delicious and you know every single ingredient that goes into it. 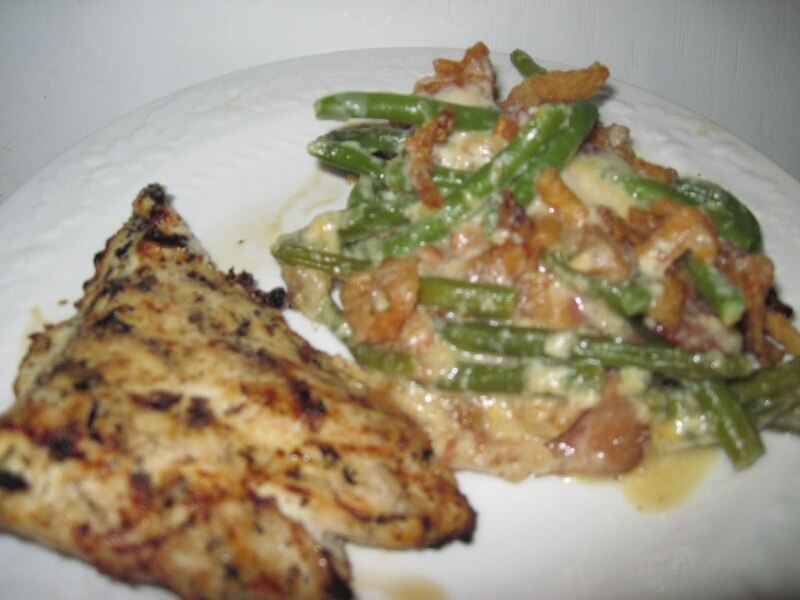 Healthful and tasty!